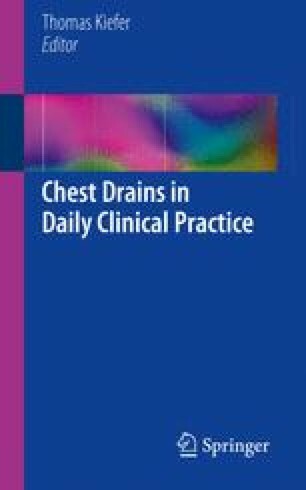 Inserting a chest drain may be associated with severe complications and therefore the indication for doing so must be very precise. The most important aspect is that the treatment goal is achieved through the procedure. The technical details of the drain (shape, diameter, and material), the number of drains, and the anatomical location will need to align with the therapy aim. It is also important to assess the indication for drainage in relation to the patient’s clinical course. This is the only way to calculate the risk/benefit ratio of this invasive procedure.